The Everescents range of Rose organic shampoo contains the highest quality pure Australian Certified Organic ingredients and does NOT contain any harsh chemicals. 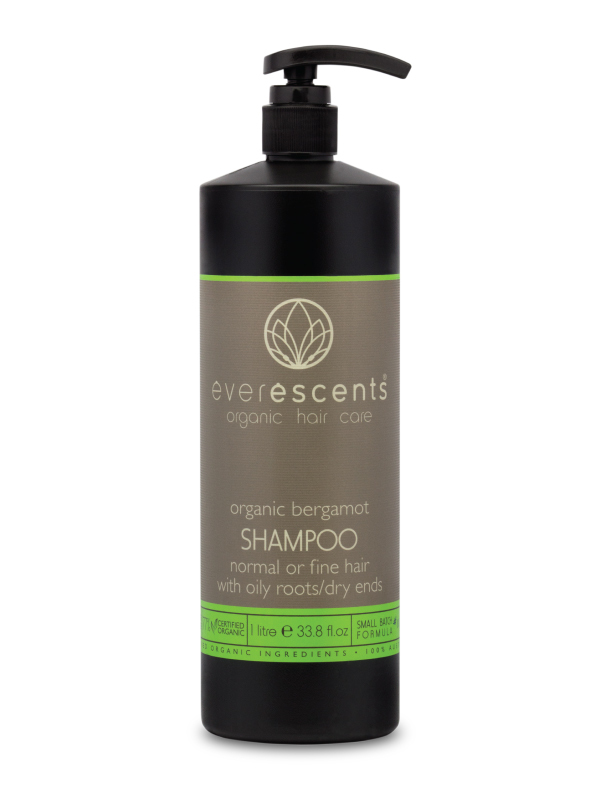 An ultra-rich, moisture-replenishing formula that enhances and promotes natural hair vitality. Designed to keep the balance in all hair types. Rosemary, Chamomile, Horsetail Herb, Lavender, Nettle, Calendula, Silk Amino Acids, Ginseng, Green Tea, Vitamin B5, Vitamin E, Rose Geranium Essential Oil. 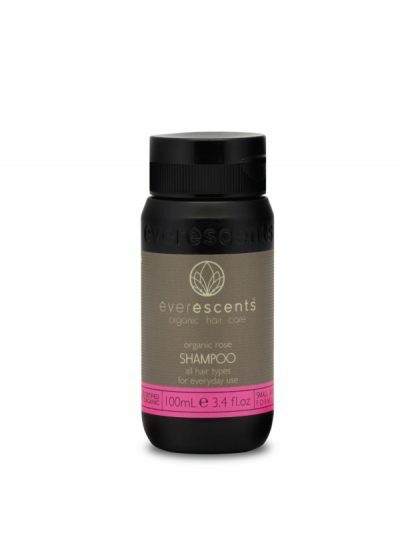 Skin & Hair – Rose Geranium is useful for skin and hair conditions as it balances sebum. Mind & Spirit – Rose Geranium has a balancing effect on the nervous system. It relieves anxiety and depressions and lifts the spirits. Skin & Hair – Rosemary Verbenone has traditionally been used in skin & hair care for hundreds of years. It is used in shampoo & hair conditioner to help stimulate blood circulation to the scalp, thus being beneficial for promoting hair growth. Mind & Spirit – Rosemary Verbenone is considered one of the best tonics for the central nervous system, strengthening mental clarity and awareness. Rosemary is an excellent brain stimulant and has a long history of improving memory. It is invigorating if experiencing mental weakness or exhaustion. Aqua** (Purified Water), Sodium Lauroyl Methyl Isethionate (sulfate free mild cleansing agent derived from natural / renewable feedstocks), Coco Betaine** (foaming agent derived from coconut oil), Extracts of ((Rosmarinus Officinalis* (Rosemary), Matricaria Recutita* (Chamomile), Equisetum Arvense* (Horsetail), Lavendula Officinalis* (Lavender), Urtica Dioica* (Nettle), Calendula Officinalis* (Calendula)), Sea Salt** (natural thickener), Guar gum** (natural thickener), Panthenol Vitamin B5** (strengthens against breakage and nourishment for hair and scalp), Silk Amino Acids** (natural moisturising hair treatment), Ginseng Extract** (provides essential energy), Green Tea Extract** (powerful free radical scavenger), Pelargonium Graveolens spp Essential Oil** (Rose Geranium), Pelargonium Graveolens Essential Oil* (Geranium), Rosmarinus Officinalis Essential Oil* (Rosemary), Pureact WS™** (sulfate free mild cleansing agent derived from coconut oil), Citric Acid** (natural preservative), Tocopherol Vitamin E** (keeps hair flexible), Sodium Levulinate & Sodium Anisate** (natural preservative derived from non-GMO corn and fennel). Lucky you, normal hair! 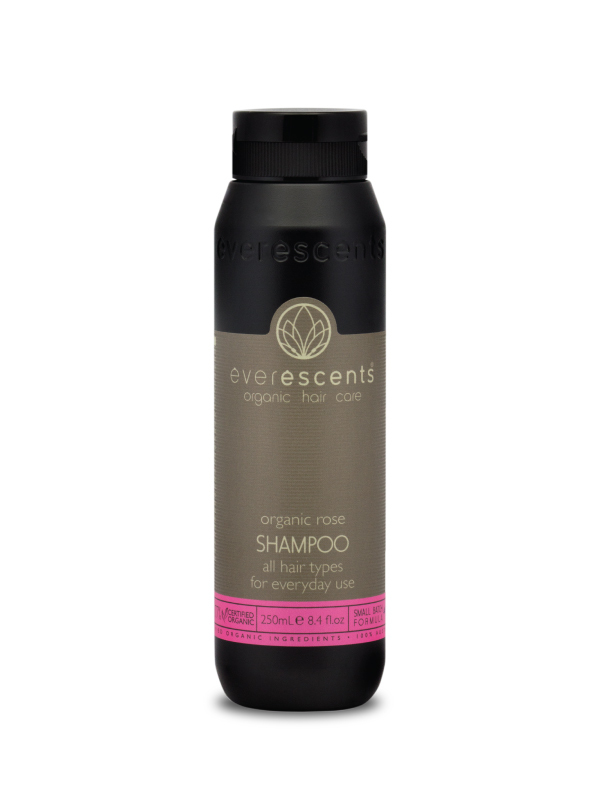 No excess oil or dryness means that you can use most products and your hair still looks good. By using the Senses range it will be just as easy to manage and you’ll also be preventing it from changing to another type, as can happen to ‘normal’ people. The best policy for you is to use a minimal amount of both shampoo and conditioner and also limit the use of hair dryers, curling & straightening irons as these may damage your dream head of hair. You and the environment also benefit from the advantages of using such a high quality organic product in your everyday lifestyle.